Locate and hunt down scorpions with the Arachnid Blacklight Flashlight. Exposure to ultra-violet light will cause scorpions to fluoresce (glow) and make them easier to spot, even in the darkest of night. 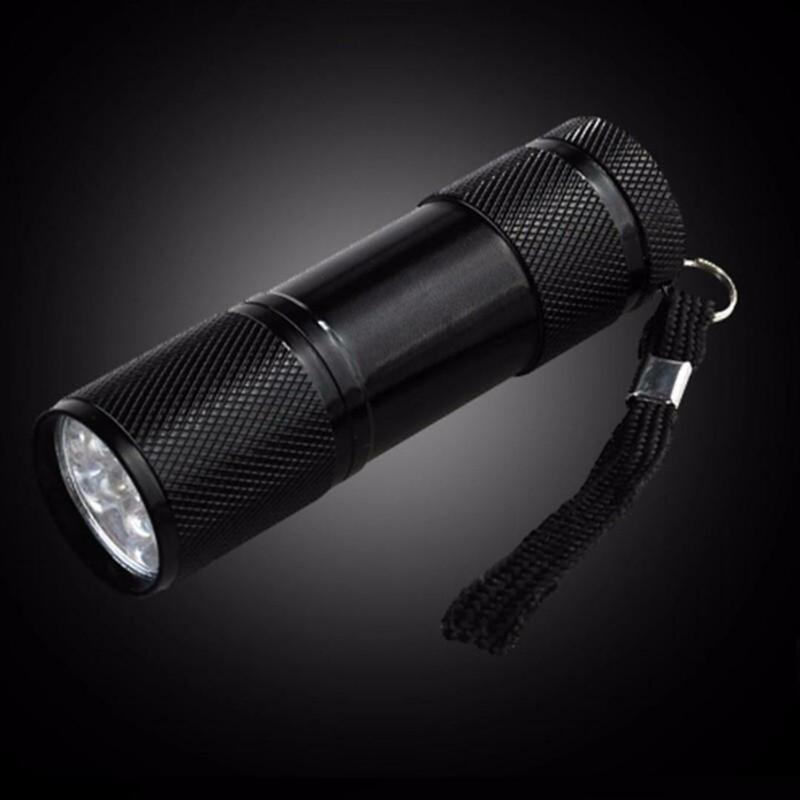 Arachnid A9 Ultra Violet 9 LED Scorpion Class Blacklight Flashlight features water-resistant high-strength aluminum case and toggle on-off switch for continuous or hands free use. Fluoresces at distances over 15 feet in darkness with unbreakable SUPER BRIGHT UV LED bulbs. Other uses include: Counterfeit money detection, lighting up fluorescent materials, charging glow in the dark items, urine detection (faint), ID checking (some ID's), UV curing, Halloween flashlight, invisible ink detection, etc. Specifications: Bulb Type 9 395nm UV LED bulb 100,000 hour life.